I began this series of profiles with Living Water Dance Community, a local group whose very nature (improvisational, dynamically spiritual) involves change, growth, and transformation. This installment looks at what’s coming up for another company that’s always looking to explore new theatrical possibilities: Portico Dans Theatre, founded in 2008 by Jennifer Alden and Valeria Cordero, now co-directed by Alden and Michael Lopez. The big first event of the spring for the whole dance community is the eMerge Dance Festival on April 12, at which this year 10 local choreographers will present site-specific work in the historic tunnels underneath downtown Tulsa. For eMerge Portico will share excerpts from its upcoming season-end production (to premiere at Summerstage July 18-20) titled Mob Mental.ity, which shows the company moving away from the single-narrative format that has structured its previous productions (Project Alice, Super Suite, BorN, and Combined Minds) and toward a more genre-mixing style, incorporating live original music chosen through a call for compositions, video by Kelly Kerr, set design by installation artist Glenn Herbert Davis, and four kinds of dance (aerial, contemporary, hip-hop, and modern), in addition to works by Amy McIntosh and Nina Madsen, originally created for Living Water and Tulsa Modern Movement, that are being restaged on Portico. This is now the third year that Tulsa Ballet has invited local choreographers to present their work as a pre-show for the main company’s “Creations in Studio K” in May. This year Portico will bring Alden’s setting of Axis by Eric Hyrst, the founder of State Ballet of Oregon, with whom Alden danced as a teenager. Portico will present a portion of the piece at Studio K, and will perform the entire 22-minute work, set to music by Stravinsky, when it tours Oregon in August. For more on Portico’s spring and summer adventures, as well as its many class offerings, visit http://porticodanstheatre.org. In the past couple of years Tulsa has experienced a tremendous boom in class offerings for adult dancers and non-dancers looking to explore movement in new ways. It’s thrilling to know that on a given day I have not just one but sometimes more than one studio to land in. However! It can be a little tough keeping track of what’s happening when, so here you go: a list as comprehensive as I could compile of currently offered open-to-the-public classes, workshops, and the like for adult movers! Please don’t hesitate to contact me with anything else you know of going on, and I’ll add it to the list. See you out there! Guest Teacher Amy Morrow is a certified Gaga instructor who trained under Ohad Naharin at the Batsheva Dance Company, where the Gaga movement language originated. (Learn more about what to expect here.) This winter class series began on January 11 and continues through February 23. Preregistration via Tulsa Modern Movement or at 877.460.0422 is strongly recommended and discounted class cards are available through January 26. All classes are held at Living Arts of Tulsa and taught by Maria Tate Reed. A five-week session is $75. To reserve a spot, email porticodanstheatre@live.com. Ongoing: next circle is January 19 from 10am-12pm at the Flyloft ($10). Join Mia Pearl for an intentional/transformational dance experience rooted in the 5Rhythms Movement Meditation Map. More information at 918-629-5686 or openheartspace9@gmail.com, or visit the Facebook event page. Portico Co-Artistic Director Jen Alden gave me the low-down on what to expect from this collaborative event. The first piece is called “Train,” set to Steve Reich’s “Different Trains” for string quartet and pre-recorded tape. Both [Co-Artistic Director] Michael [Lopez] and I choreographed this, it is a new work. It begins as a process of what the body feels when riding a train and then moves into the emotion of riding a train. I think our thought is that when you ride a train you often have the time to think and be contemplative as you may have left someone to go somewhere or are going to meet someone. We explored the different feelings of both the romantic and not so romantic feelings of riding on a train depending on an individual’s circumstance. In “Tears” (first performed for Project Alice, Summerstage 2010), the dancers embody water with flowing movement. One of the most important components of “Tears” is the 3 long pieces of stretch fabric in which the dancers are connected to each other. This is one I just love performing outside. I felt it was contemplative only for the reasons that when constructing the piece originally it was the summer after starting Portico and I spent a lot of time outside by the pool really watching the water intensely and that’s how this piece was created. It was one of the first pieces I did that just really came organically — basically the water gave me the movement. 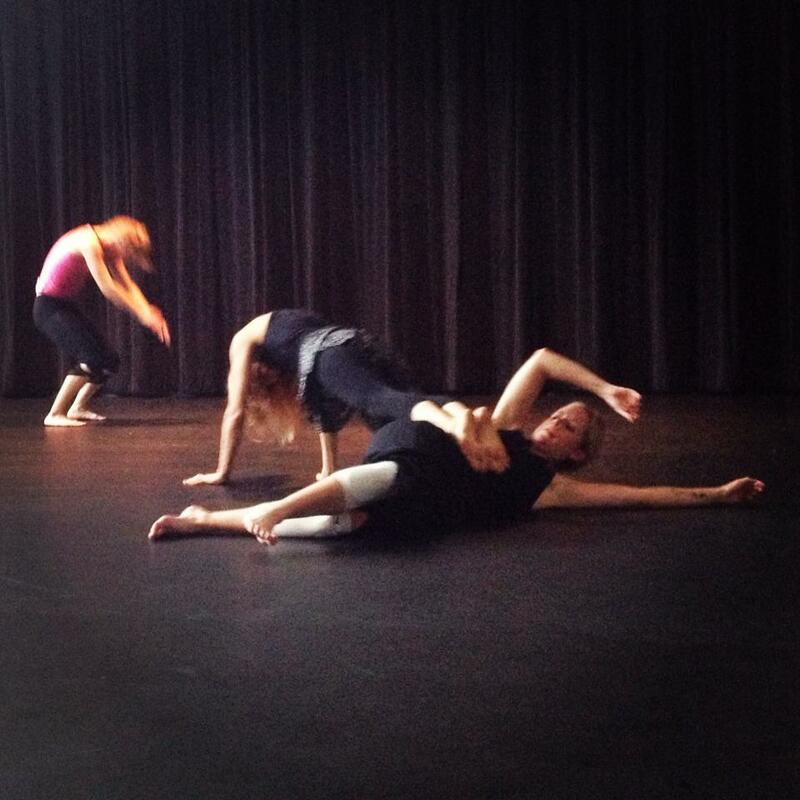 Our next piece is “Orphan Train” (first performed for eMerge Dance Festival 2012). This work is inspired by a discussion with Steve Liggett of Living Arts when contemplating a work to be done for the eMerge Dance festival which was a site specific work to be done as part of the TyPros Red Fork Revival Street Cred. The piece is based on the history of the orphan train, which was a social experiment that transported children from crowded coastal cities of the United States to the country’s Midwest for adoption. The orphan trains ran between 1854 and 1929, relocating an estimated 200,000 orphaned, abandoned, or homeless children. The children were transported to their new homes on trains that were eventually labeled “orphan trains.” This period of mass relocation of children in the United States is widely recognized as the beginning of documented foster care in America. Displacement and loss of identity are themes that are prevalent throughout the movement. It includes live drumming by Dianna Burrup and spoken word recited by Deborah Hunter. This piece too came quite organically and for some reason is one of the most moving to me personally of what I’ve done. Each of the individual pieces (Heartbreak, Identity, Chattel, and Hope) [is] choreographed by a different person to really give each segment a different “feeling” as well as emotion. “Heartbreak” was originally choreographed by me for two of the students from Central high school. They play sisters that are riding on the orphan train and one dies before they reach the destination. “Identity” was originally choreographed by Cassie Hampton and now revised to fit Linda Clark is essentially about trying to find one’s identity and not knowing how to fit in to a new place. Linda is taking it a step further and is playing a boy also trying to determine his sexuality. “Chattel” was originally choreographed by Abbe Lansdown and revised by Maria Tate Reed. It is essentially about slavery and how some of the children were essentially sold as slaves to men; it explores loss of innocence. And the last was choreographed by Katie Feoick McCall and she came back to set this solo on me. It’s about a girl who misses her mother and is thinking about that as she rides the train but then at the end she is hopeful for the future. 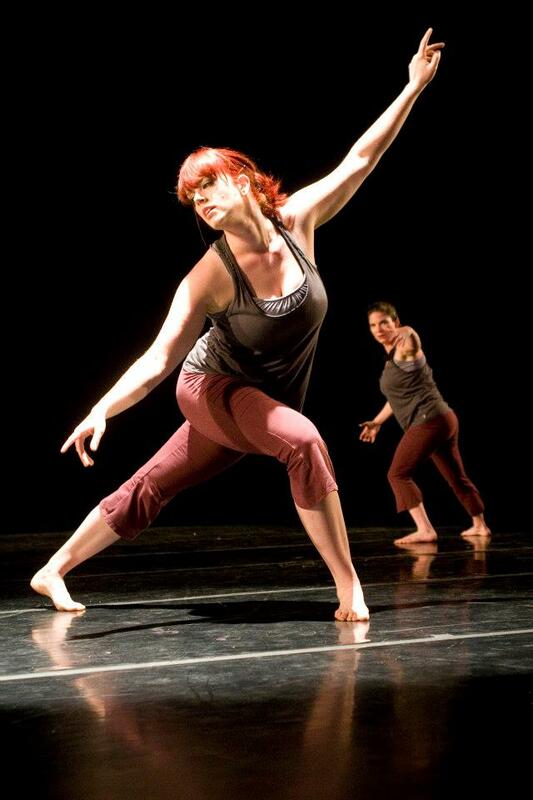 “Persistence of Loss” (first performed for BorN, Summerstage 2012) explores the feelings of loss and, eventually, hope after coming to terms with loss. Each dancer represents a different form of loss: loss of a child (loved one), loss of love, loss of innocence, and loss of identity. Although I never told this to the company, I choreographed this piece for my Director who died when I was a senior in high school. So essentially all those feelings of loss, regret, etc. were put into the first piece and the second piece was more hopeful, remembering everything he gave me and how I get to share that with others. Finally, we’ll perform a new work choreographed to Jacob TV’s “Jesus is Coming,” for Violin, Viola, Cello, Double Bass, Clarinet and pre-recorded tape. This one was really hard to choreograph because the music is very harsh and while I’m not a religious person, I didn’t want to be disrespectful to religion or religious people, nor did I want to disrespect the score or composer. So after a long discussion with Justin on it I formed the dance around in general what happens to a person as they grow and become religious or not religious (the belief in God, etc.) We start as babies, really having this innocence and not necessarily “needing” religion, but as we grow older and begin to be able to “sin,” religion plays a part in making sure we as a society don’t stray from social norms. Of course sometimes and throughout history it has gone the other way when the religion is used in a literal way to persecute others. So really it was this juxtaposition of good and evil, religious vs. not, although not giving a commentary of whether either is good or bad — just that they exist. In the end it’s the idea if we went to back to being as innocent and truthful and good, as we were as children, we might be better off. In general this piece is about religious identity. Sounds like a meaty evening of music and dance. 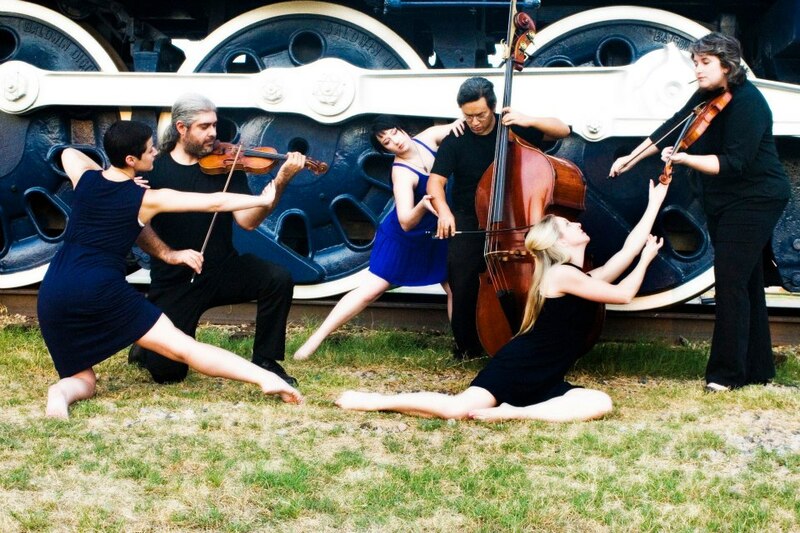 What a joy to have these composers, choreographers, musicians, visual artists, and dancers bring such rich sights and sounds right into the heart of the easygoing bustle of downtown Tulsa. See you on the Green! 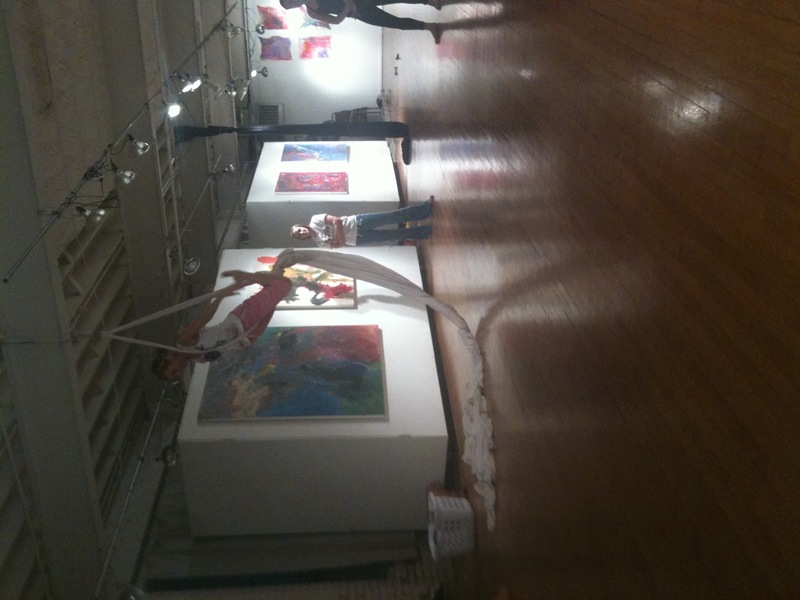 — Portico Dans Theatre offers Beginning Aerial (Thursday 5:30-6:30) and Contemporary Ballet (Thursday 6:30-7:30). Location: Liggett Studio (314 S. Kenosha Ave.) $10/class. Private lessons available on request. — Tulsa Modern Movement continues its Release Technique class, “Moving from the Inside Out” (Wednesday 6:30-7:30). $8/class, or a 5-class package for $32. Location: Liggett Studio. — The Dance Pointe has open classes in Lyrical Dance, taught by ORU grad Christina Woodrow (Monday 6:15-7:15), and Modern, taught by the fabulous Sarah Joyce-Dyer (Thursday 6:15-7:15). Students can pay monthly or buy a punch card for $100 per 10 classes. 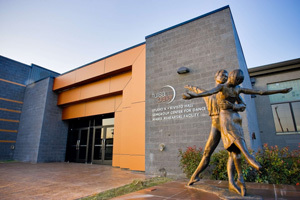 — Tulsa Ballet‘s Center for Dance Education again offers Adult Ballet (Intermediate level on Monday and Wednesday 6:45-8:15, Beginning level on Saturday 11-12:30) and adds a new class called BalletFit (Tuesday 7:15-8:15). $15/class, or 10 classes for $100. 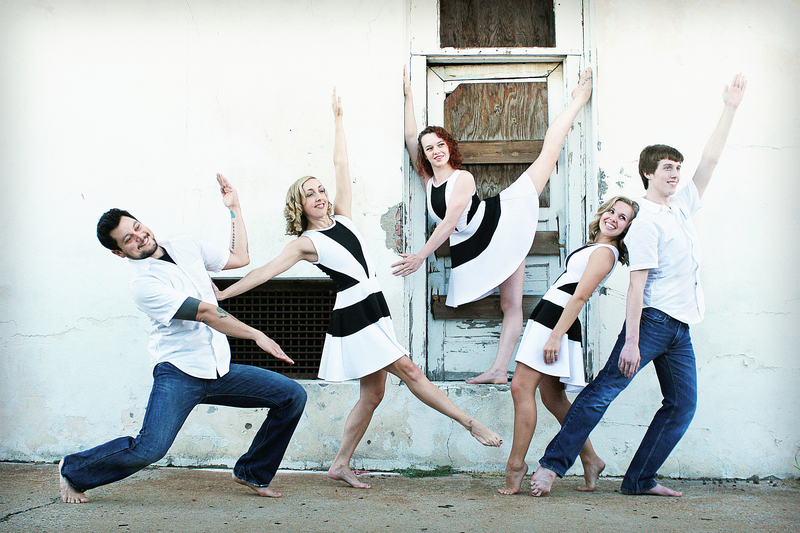 — Owasso Dance Company has Adult Ballet on Tuesday evenings from 7:30-8:30pm taught by Shana Glenn. — Jazz dancer and personal trainer Martina Aumua teaches Body Conditioning for Dancers at Liggett Studio, Wednesday 5:30-6:30pm. — Yours truly is starting a new 7-week class called Expressive Movement at 306 Phoenix House, Thursdays at 6:30, September 13 through October 25. Please use the Comments section to share any others, and I’ll add them to the post! This weekend marks the premiere of the third evening-length production Portico Dans Theatre has created. 2010’s “Project Alice” put a theatrical twist on Lewis Carroll’s “Alice in Wonderland”; 2011’s “Super Suite” sent the company into the 1940s world of gangsters and comic book heroes. “BorN” is a different sort of beast: dark and mysterious, a psychological puzzle and a personal drama. It opens tonight at 8pm at the PAC, and plays again tomorrow, same time, same place. When I spoke to Portico co-artistic directors Michael Lopez and Jennifer Alden about the show, they were characteristically straightforward about the challenges and the stakes of a production that not only incorporates so many different theatrical elements (visual effects, film, live music, aerial dance), but also comes from such a raw emotional place. Here’s a behind-the-scenes video of some of Portico’s rehearsal process for the show. For one thing, SummerStage is in full swing, featuring outside-the-box evening-length performances by Perpetual Motion this past weekend and Portico Dans Theatre on July 13-14 (more on that next week), as well as smaller shows by the Belly Dance Academy of Tulsa and the Sanskriti School of Dance. For another, there are two different calls for submissions coming up, and a festival featuring exciting new work. Have there ever been so many opportunities for Tulsa dancers and dancemakers to create and perform new material? Now’s the time to give yourself permission to be bold. Deadlines are coming up soon. 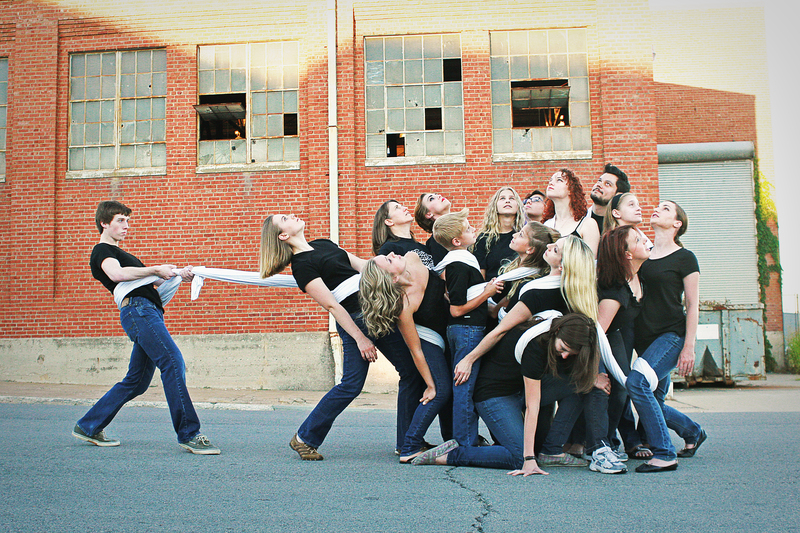 The Oklahoma Dance Film Festival is now accepting submissions for its 2012 festival. We are currently seeking dynamic short films that use movement as a medium for story-telling or visual spectacle. Films should be no longer than 30 minutes, but can be as short as 1 min. Submit your film as a high-quality DVD format (US region). Please complete and return an entry form [link is on the website] along with each film. Include a self-addressed envelope with sufficient postage, if you wish DVDs to be returned. Submission deadline is August 1st, 2012. The OkDFF extends a special assignment to local filmmakers and dancers: collaborate and create a new film/video work, which highlights your artistry, process, or community connection. We want to get to know the creative voices within our state. 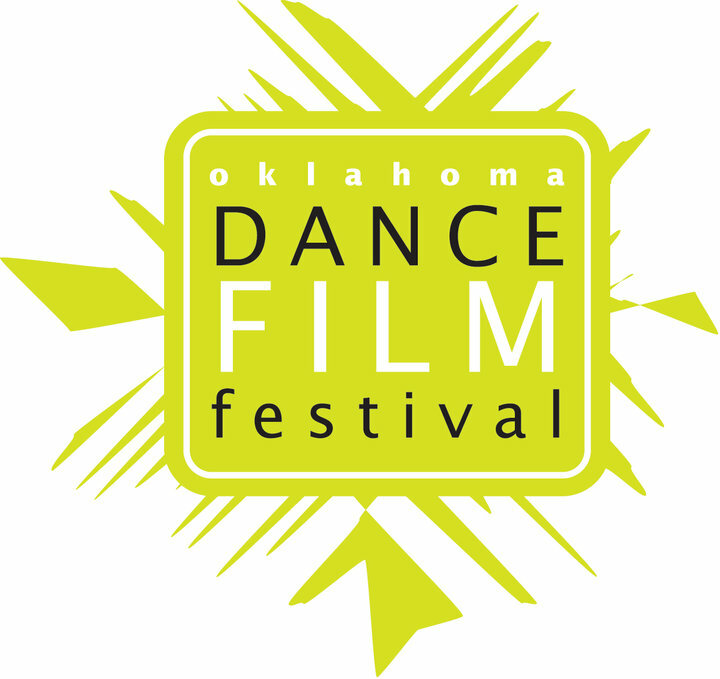 Selected films will be screened at the 2012 Oklahoma Dance Film Festival. The work can be informative, documentary, or completely imaginative and abstract. Selection will be based on how the film demonstrates the creative skill of both collaborators. Please adhere to the entry requirements listed above. Are you a choreographer? As I reported in Urban Tulsa, Tulsa Ballet has announced that it is renewing its local dance initiative next season, and is now accepting applications from companies wishing to take part. The deadline for submissions is July 15, 2012. The initiative gives local dance companies the opportunity to perform as an opening act for the main company in its “Creations in Studio K” series in May. “Having local companies perform with us in Studio K was a historic event for dance in Tulsa,” TB Artistic Director Marcello Angelini told me. “Interacting with other artists in the community was energizing for all of us and, in my case, it gave me a feeling of unity and renewed sense of purpose to further our art form. It was a wonderful start, and yet just a start. At this point, the sky is the limit. Interested groups may submit a DVD of their proposed performance, which must be less than 20 minutes, along with a description of the piece and their company, to Tulsa Ballet (1212 East 45th Place South, Tulsa, OK 74105) before July 15th. All companies will be notified of their acceptance by July 31st. For more information, contact Company Manager Daiva Neal at daiva.neal@tulsaballet.org. Are you a student, a teacher, a semi- or pre-professional dancer, an aspiring dancemaker? Come take class and see the two concerts chock full of original work at the Exchange Dance Festival. It happens August 10-12 at Studio K. I’ll write more about what to expect as it approaches, but you can search “Exchange” here on the blog for some hefty posts about last summer’s event. A Facebook friend commented the other day that “there are about a billion dance companies in Tulsa!” It sort of seems like that these days, and it’s pretty wonderful. Hang with me here and I’ll try to keep you up-to-date with the many and various ways that Tulsa Dances. See you soon.